Section 44AD is applicable if the taxpayer is a resident individual, resident Hindu undivided family or a resident partnership firm (not being a limited liability partnership). The taxpayer should be engaged in any business (but not in the negative list given below). The annual turnover should not exceed Rs. 2 crore. In such a case, income is computed on estimated basis at the rate of 8% (6% See Note) of turnover. The rate of 8 % (6% See Note) is comprehensive (i.e., no further deduction is allowed under any other section, even the deduction of remuneration and interest to partners is not available). 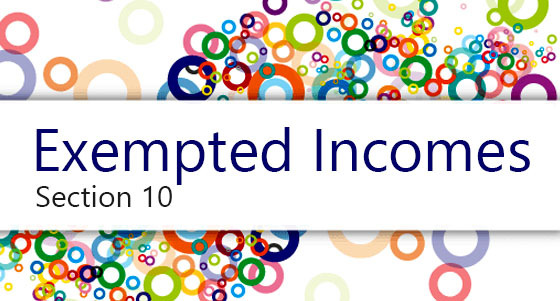 He can submit his return of income in ITR-4 (ITR-4 is a simplified form as compared to other forms). He is exempted from maintenance of books of account. He can pay advance tax pertaining to his business income in one instalment (i.e., on or before March 15 of the financial year immediately prior to the assessment year). Other assessees are required to pay advance tax in four instalments (i.e., on or before June 15, September 15, December 15 and March 15 of the financial year immediately prior to the assessment year). the assessee who has claimed any deduction under sections 10A, 10AA, 10B, 10BA, 80HH to 80RRB in the relevant assessment year. A taxpayer who is covered by section 44AD can declare higher income. If an assessee declares profit for any previous year under the scheme of section 44AD, he cannot declare lower profit for the next 5 consecutive subsequent assessment years. If he declares lower profit, then he shall not be eligible to claim the benefit of the provisions of section 44AD for 5 subsequent assessment years [i.e., subsequent to the assessment year relevant to the previous year in which the profit has not been declared at the rate of 8 % (6% See Note) ]. An eligible assessee claims to be taxed on presumptive basis of 8 % (6% See Note) of turnover under section 44AD for assessment year 2018-19. He offers income of Rs. 8 lakh on the turnover of Rs. 1 crore. 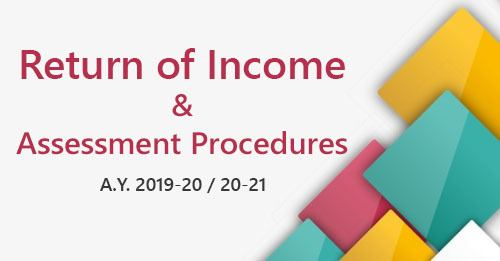 For assessment year 2019-20 and assessment year 2020-21 also he offers income in accordance with the provisions of section 44AD. However, for assessment year 2021-22, he offers income of Rs. 4 lakh on turnover of Rs. 1 crore. In this case, since he has not offered income in accordance with the provisions of section 44AD for 5 consecutive assessment years, after assessment year 2018-19, he will not be eligible to claim the benefit of section 44AD for next five assessment years (i.e., for assessment years 2022-23 to 2026-27). he will have to get his books of account audited under section 44AB (irrespective of turnover), if his total income exceeds the exemption limit. If the taxpayer wants to declare lower income, he cannot submit his return of income in ITR-4 (return can be submitted in ITR-3 or ITR-5). — before the due date specified in section 139(1) in respect of that previous year. The assessee is resident and engaged in a profession referred to in section 44AA(1) (i.e., such as legal, medical, engineering or architectural profession or the profession of accountancy or technical consultancy or interior decoration or any other profession as is notified by the Board). Gross receipts of the assessee from the profession does not exceed Rs. 50 lakh. If the above two conditions are satisfied, income of the assessee shall be calculated on estimated basis at a sum equal to 50% of the total gross receipts. The assessee can voluntarily declare a higher income in his return. All deductions under sections 30 to 38, including depreciation and unabsorbed depreciation, are deemed to have been already allowed and no further deduction is allowed under these sections. The written down value is calculated, where necessary, as if depreciation as applicable has been allowed. Moreover, it will be assumed that disallowance, if any, under sections 40, 40A and 43B has been considered while calculating the estimated income @ 50 %. - The assessee will have to maintain the books of account as per section 44AA, if his total income exceeds the exemption limit. - The assessee will have to get his books of account audited under section 44AB (irrespective of turnover), if his total income exceeds the exemption limit. The scheme applies to a person owning not more than 10 goods carriages at any time during the previous year. The income from each goods carriage being a “heavy goods vehicle” shall be estimated at Rs. 7,500 for every month (or part of a month) during which the goods carriage is owned by the assessee. The income from each goods carriage, other than a heavy goods vehicle shall be estimated at Rs. 7,500 for every month (or part of a month) during which the goods carriage is owned by the assessee. In either case, the taxpayer can declare his income from trucks at a higher amount than that specified above. “heavy goods vehicle” means any goods carriage the gross vehicle weight of which, or a tractor or a roadroller the unladen weight of either of which exceeds 12,000 kilograms. The estimated income is comprehensive. All deductions under sections 30 to 38 including depreciation and unabsorbed depreciation shall be deemed to have been already allowed and no further deduction will be allowed under these sections. However, in the case of a firm, the normal deduction under section 40(b) shall be allowed. The written down value will be calculated, where necessary, as if depreciation as applicable has been allowed. The assessee is neither required to maintain books of account under the provisions of section 44AA, nor required to get his accounts audited under the provisions of section 44AB, in respect of his income from truck business. 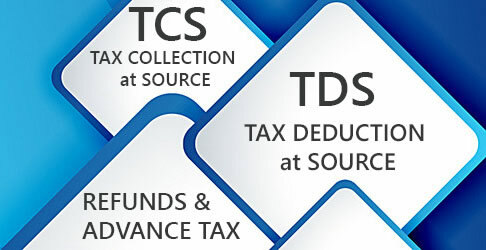 An assessee may claim his income to be lower than the deemed profits and gains, subject to the condition that the books of account and other documents are kept and maintained as required under section 44AA and the assessee gets his accounts audited irrespective of turnover and furnishes a report of such audit as prescribed under section 44AB.